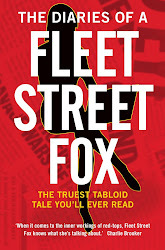 fleet street fox: We're watching you. I WAS on a mini-roundabout in Plymouth when my phone beeped. The traffic was jammed so I looked at the text message, which said that Nasty Nick had left the Big Brother house. Even though it was twelve years ago, even though it was utterly trivial, that news seemed so momentous at the time that I can still remember where I was, what I was doing, and how I pulled over to excitedly ring my friend and find out what she knew. That was the first series of Big Brother, when those taking part had no idea anyone might be watching them and it felt like half the nation was fascinated by Nasty Nick's underhand voting tactics, Melanie's flirtations with Andrew and Tom, Darren's terror of the chickens, lesbian ex-nun Anna (A lesbian! On telly!) and scouser Craig doing it all to raise money for a cousin with Down's Syndrome. For those who have forgotten, the events of that series were splashed on by the country's most popular newspapers almost every day. Even though no-one had seen such a thing before, it had phenomenal ratings and 10million people tuned in to the final. This was the start of modern celebrity, and they didn't all like it. Andrew emigrated to Australia, where I walked into a wall when I spotted him in a Sydney street about a year later. Darren disappeared, Sada reportedly turned to waitressing, Melanie did some presenting and naked body-painter Nichola released a single and is, well, keeping busy (NSFW). In the years that followed, the contestants were of such interest to the public they could guarantee newspaper sales spikes. When a girl famed for saying "I love blinking, I do", left the second series the bidding war for her first interview hit £200,000. That's not done for fun - it was because the newspapers and magazines bidding expected to make more than that in extra sales and advertising. Agents and publicists pile in and drive it as high as they can, and editors weigh up the bid with what they get out of it. Not any more. A while ago a friend told me how they answered the newsdesk phone on a national paper to find the latest Big Brother evictee on the other end, asking politely if they were interested in his story for £200. "Sorry mate, you'd need to pay us," he was told. "Who are you again?" Big Brother today is not something anyone is going to excitedly text me about, much less make me remember where I was when it landed. It doesn't provoke newspaper bidding wars, is seen mainly as a vehicle for the mentally-frail and fame-hungry, and draws less than a million viewers. Earlier this week it was reported the latest series was Ofcom's most-complained about TV programme of the entire year. This stopped me in my tracks, because whatever it had done I hadn't noticed even though it had pushed Philip Schofield's use of Google into second place. It turned out a contestant called Conor McIntyre had threatened to punch and sexually assault a female housemate, Deana Uppal, sparking more than a thousand complaints. In all 2,088 complaints were lodged against the show, which when it is watched by so few is quite an achievement. Now, that's obviously a shocking bit of telly, and worth complaining about. But had it happened in an earlier series it would be national news - today, few of us know anything about the people involved and care even less. The one part of the brand which still commands some interest - and a couple of million viewers - is the celebrity version, because mentally-frail fame-hungry wannabes are easier to loathe when they made their Faustian pact decades earlier. We've had Vanessa's meltdown, Les Dennis looking sad, George Galloway in a leotard, Jade Goody horrifying everyone, Sly Stallone's mum and Vinnie Jones. It's never done much to reinvigorate a failing showbiz career, but it has given one or two people a slower descent into obscurity. In recent weeks there has been much talk of convicted domestic abuser Justin Lee Collins being offered and then turning down a place on the show, which sparked a fair bit of anger, an online petition from relatives of the woman he harassed, and some much-needed publicity for the show. But it's now clear he didn't have a cat in hell's chance of appearing, not because he was an aggressive, bullying abuser recently notorious for being convicted of the same, but because the show's producers had someone else in mind. 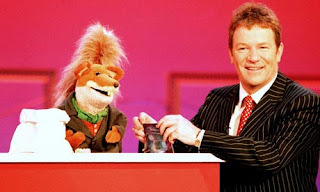 Step forward Jim Davidson, a comedian who in his heyday made Bernard Manning look thoughtful and, if his third wife Alison Holloway is to be believed, would make Conan the Barbarian look like a pussycat. Her claims were quite devastating, and the man recently apologised for his racist and homophobic jokes and admitted his abuse of drugs and booze as part of an effort to reinvent himself. He's got a right to do that, if he wants to. People are allowed to change their ways. He's not been convicted of abusing Alison, so we need to be nicer to him than to Lee Collins who was accused of doing less physical damage. But that doesn't mean we have to like him. There are plenty of people who, despite the absence of a criminal record, consider him and his views beyond the pale, and it's unlikely many of the mainly-young CBB audience will warm to a fat, middle-aged old git even if they're ignorant of his reputation. That he's on the television at all leaves a bitter taste in the mouth, but there is one positive to be gained from this washed-up old toad entering the Big Brother house, aside from the possibility they might just lock the door once he's in and call it a day. It is that, in the absence of any woman taking him to court, of any rumours being proven to be true, or of him saying something of the kind he used to and getting arrested for it, it might just be possible to savour the deserved demise of an unpleasant showbusiness career and see it finally nailed into its coffin. When there has not been any other kind of justice, the sort where a once-national star is reduced to a less-than-popular show and ringing up newspapers offering his own story for a handful of tenners is the best that we are left with. Big Brother has turned from widespread and innocent fascination with human behaviour into the minority sport of malicious celebrity schadenfreude. It is a shame we cannot watch people without wishing them ill, but if we have to watch anyone then people who deserve a bit of ill are, I suppose, the best contestants. So I will watch, and if it all ends badly for him I will not bother to remember where I was when I heard about it. More phut-phut than boom-boom, sunshine.